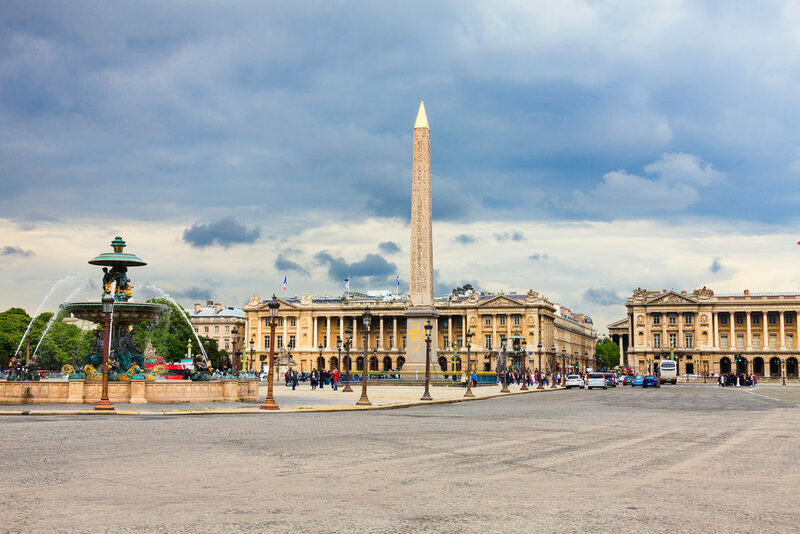 The Place of Concord in the center of which stands the obelisk of Luxor is located not far from the Champs Elysees and Tuileries Garden among others. It has a very particular history and is part of the French heritage. Here is a return on its appearance and how it has evolved over the centuries. The Place of Concord was built by the architect Anges-Jacques Gabriel and was completed in 1772. Initially the statue of King Louis XV was located in the center and was called Place Louis XV. The place will evolve according to the events of History. At this time, the Place of Concord goes from a festive atmosphere to a gloomy atmosphere with the disappearance of the statue of the king replaced by a scaffold surmounted by a guillotine used for executions of the city characters Robespierre and Danton for example. It was during the reign of Louis Philippe that the place was transformed and embellished. The new architect at the origin is Jaque Hittorf. It is in 1795 that it is called Place of Concord to emphasize the reconciliation of the French after the Revolution. It was also in 1836 that the Obelisk was installed. The one comes from Luxor and dates from the 13th century. Did you know that 6 years had passed between the donation of this item and its installation in the square ? The Ferris Wheel, located a few steps away, was installed in 2000. Today the obelisk is covered with a gold leaf headdress dating back to 1998 and funded by the Pierre Berge-Yves Saint Laurent Foundation. During your stay at our hostel, take a detour to this beautiful historic square during your visit.